Frances Finnigan, Ph.D. is a lecturer in Psychology at Glasgow Caledonian University (GCU), Scotland, UK. 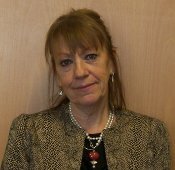 Dr Finnigan’s main teaching interests include Health Psychology, Abnormal Psychology and Research Methods in Psychology. Her research reflects both theoretical and applied contributions to the literature on alcohol and performance in the acute and hangover state. She has disseminated her finding in Europe and the USA. She has worked with Strathclyde Police Force for a Christmas ‘Drink Drive Campaign’ with the intention to demonstrate to the lay public real empirical data on the consequences of drinking and driving/operating dangerous machinery. She also acted on a consultancy basis for Strathclyde Traffic Police to examine the detrimental effects of drug-taking and driving. She was invited by Scottish Television on a consultancy basis to the development of a programme which aimed to alert the public of the dangers and detrimental effects of alcohol-induced hangovers and performance. Dr Finnigan has authored more than 34 articles and book chapters. She is a Charter Health Psychologist (BPS) and is a member of the Alcohol Hangover Research Group. This Group consists of researchers from across the globe that has an interest in the hangover phenomenon. Her research studies have been funded mainly by the Alcohol Education and Research Council.